Courtesy of Brian Darby's "Aussie Road Racing"
It was perhaps the first time such an event was to be held in Sydney - a Grand Prix in Parramatta Park. The event, conducted under the auspices of the NSW Light Car Club and Empire Speedways was to be held on 5 November, 1938, the finale of a series of events as part of Parramatta’s week long 150th Anniversary celebrations. Press clipping showing cars practicing at the Parramatta Park Circuit. 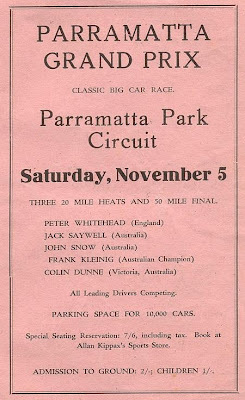 In October 1951 Parramatta Park Trust announced its intention to build a 2 mile motor racing circuit at Parramatta Park that would possess the best possible conditions for the sport. 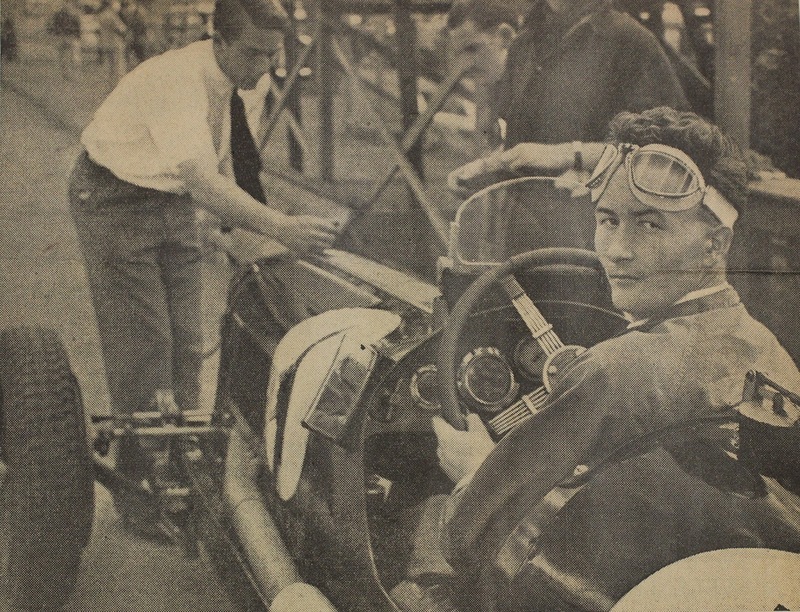 The Trust in conjunction with the The Australian Sporting Car Club planned to hold the first race on 28 January 1952. But again the Police Commissioner stepped in and refused to grant permission for motor racing at Parramatta Park. The Australian Sporting Car Club appealed against the Commissioner's decision and the case was heard at the Parramatta Court of Petty Sessions on the 14 January 1952. The magistrate upheld the appeal on the condition that spectators be kept 40 feet away from the track. 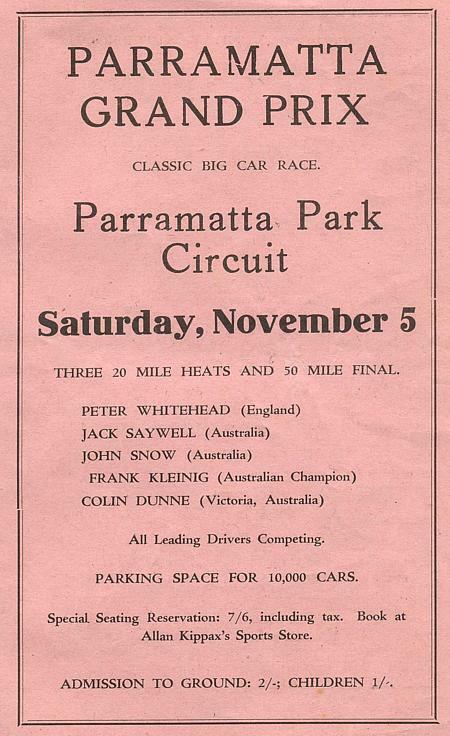 A number of races were held until about 1957 when motor car racing ended at Parramatta Park. PRS16/021 Press Cuttings - Parramatta 150th Anniversary Celebrations Oct 27 to Nov 5 1938. Parramatta City Council Archives.